Web designers and coders are having a great time these years. They have useful web tools, services, web design bundles and even more at their disposal that are making their life much easier than before. Why start from zero when you can only customize a multipurpose theme? Get things done faster. Below we have analyzed some of the most trusted and best-selling solutions on the market, some with amazing numbers on the table. We have included WordPress themes, website builders and testers, an invoicing platform and other useful web resources. Check it and share your opinions. Can you remember how was some time ago to build your own directory website? A nightmare I can quickly tell you. The costs to pay web designers and developers was huge and most of the times it was hard to explain exactly what you need. Even if you had to choose a Theme you had to spend tones of dollars on plugins to even get the most basic directory out the door. 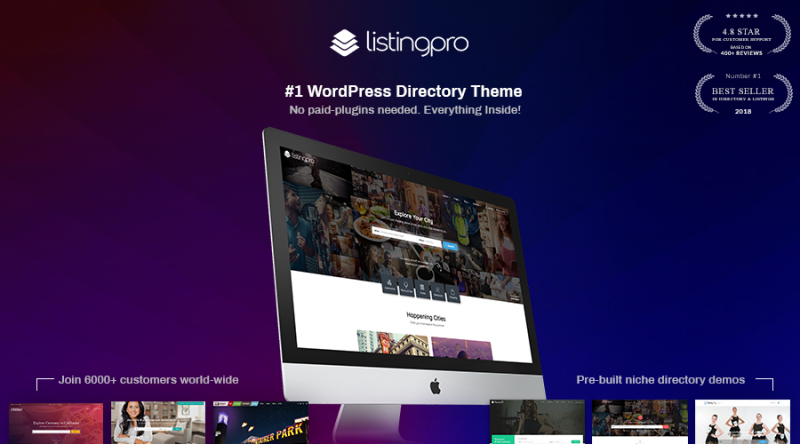 Now we have ListingPro, the No.1 Best Selling WordPress theme directory since the launch in 2017. You cannot go wrong with a 5 stars rating from over 400 customer. More than 6,000 startups from 170 countries used it to launch their own directories. You will find over 30 real-life case studies of the clients using ListingPro, it’s a great way to see and test this solution. No need for coding skills or previous experience. No need of additional plugins for the basic features. Yes, ListingPro is a complete package that can help you launch your Directory website in minutes and monetize it from the first day. If you need customization or something that is not in the box, you can get a free quote on their website. The pricing starts from $69 for the basic license and it includes everything you need – lifetime updates, easy setup assistant, 6 months free support and more. Userfeel allows you to unleash your website’s potential by carrying out remote usability to tests to find usability problems. Practically you are “hiring” real life testers that will check your website and respond to questions that you will provide. 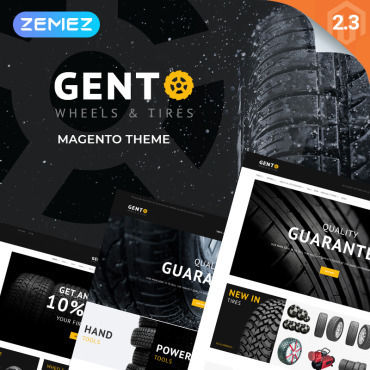 They can have any number of tasks (finding a certain product or going to a specific page) as long as all of them can be made in maximum 20 minutes. The price per user session for desktop testing is $49 and you quickly find out which are the problems and things that you should fix asap. The price includes the video with voice comments, the movement of the mouse and the answers to the questions you requested to be asked when launching the project. The video that you will receive can be downloaded or uploaded to YouTube, so sharing with your team members is extremely simple and quick. The report will also contain the SUS (System Usability Scale) number which will show the perceived usability of your website. It is calculated by a 10-item questionnaire. 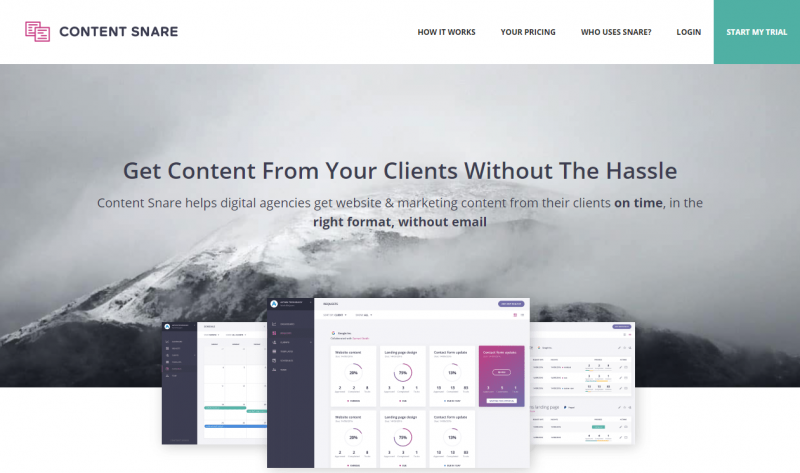 Test it for free for your website to make a better impression or check the examples from their main page. 3. 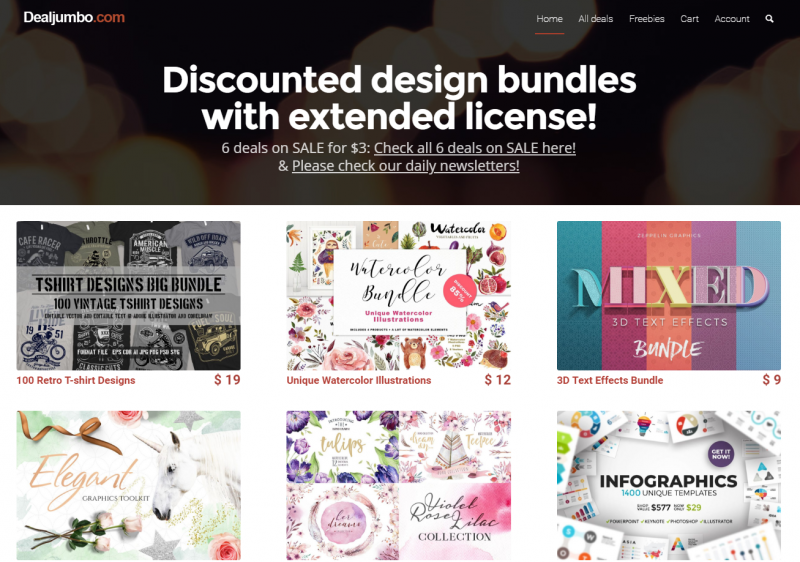 DealJumbo – Discounted design bundles with extended license! DealJumbo is helping designers, developers and web professionals since 2013 with awesome design bundles, hugely discounted or offered for free. On their website, you will find Creative and Unique Hand Drawn Fonts, Presentation Kits, Logos, Typography, Photograph and much more. The low prices will help you save lots of money and time, which is equally important. 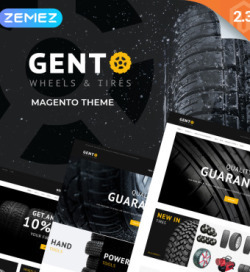 DealJumbo is offering also exclusive deals that can be found only on their website and their products are coming with an extended license that lets you use the items for unlimited numbers of commercial projects, digital and physical items. 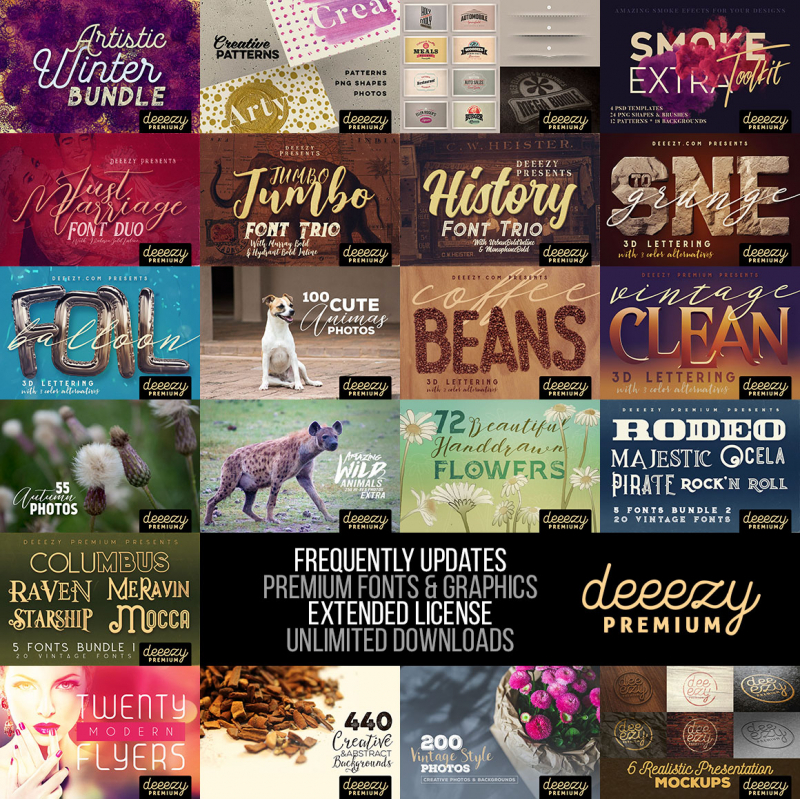 You can download 1580+ free fonts & graphics. All comes with standard commercial license. 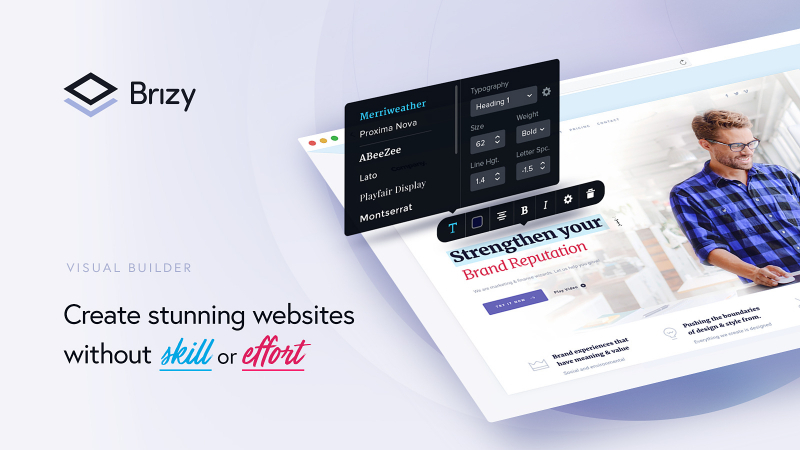 Brizy is a powerful WordPress page builder that has the most intuitive interface we’ve ever seen. All the options are there only when you need them, forget about hundreds of options crowded in remote sidebars. The building process is extremely straightforward, you can start from scratch or you can combine and customize the 150 beautifully predesigned blocks. Additionally, you have 4,000 icons and options that can be used to heavily customize everything you need. 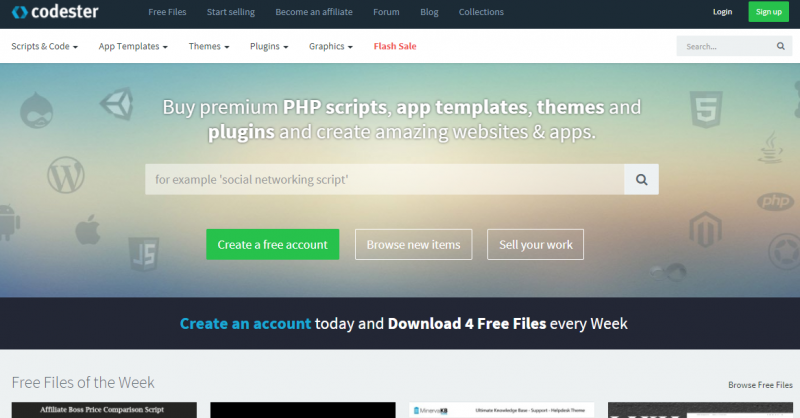 Brizy is a free to use WordPress plugin that also comes as pro version. More on the Pro version and how it empowers you to do things even easier and faster can be found on their website. Test Brizy right now on their website. Deeezy is a great place for web professionals where they can items and designs deals hugely discounted. You will find gorgeous free and premium fonts, photos, graphics, textures, mock-ups, Vector, and others. With almost 550,000 downloads, Deeezy is a one of the major design deal websites. 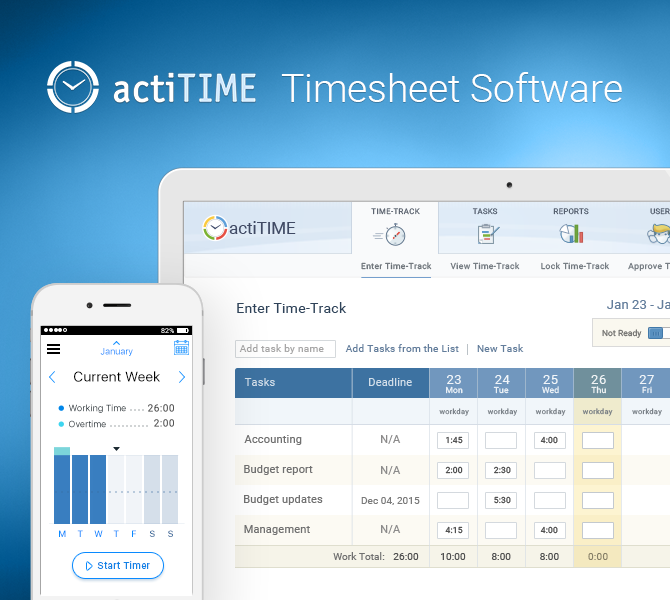 With thousands of companies using actiTIME for time tracking and work management, including huge brands like Xerox, Cisco, and Philips, this is one of the best software in the industry. actiTIME is great to use to report billable time to customers and track work hours, manage remote team and establish a transparent processor to improve staff productivity and get detailed data on how their team is performing. If your company relies on R&D tax credit, the time tracker will make it a lot easier to collect the relevant data and submit your application. Configure online the package you want to get and start using actiTIME. 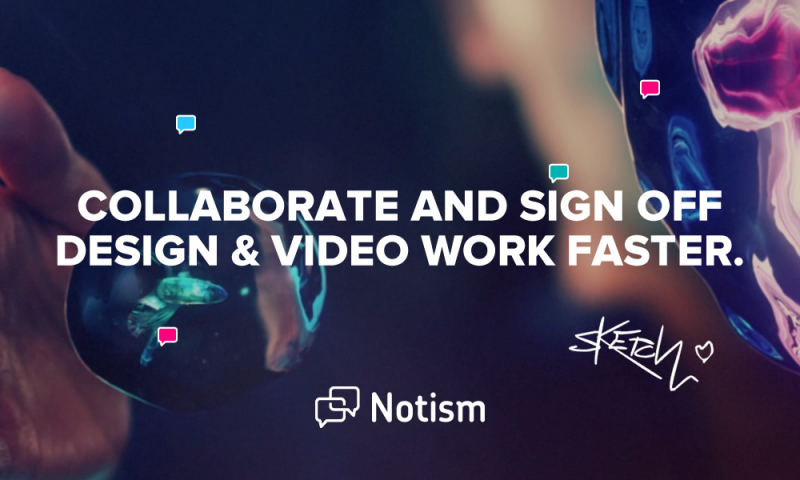 Using Notism, both normal and video collaboration among team members are simple and enjoyable. 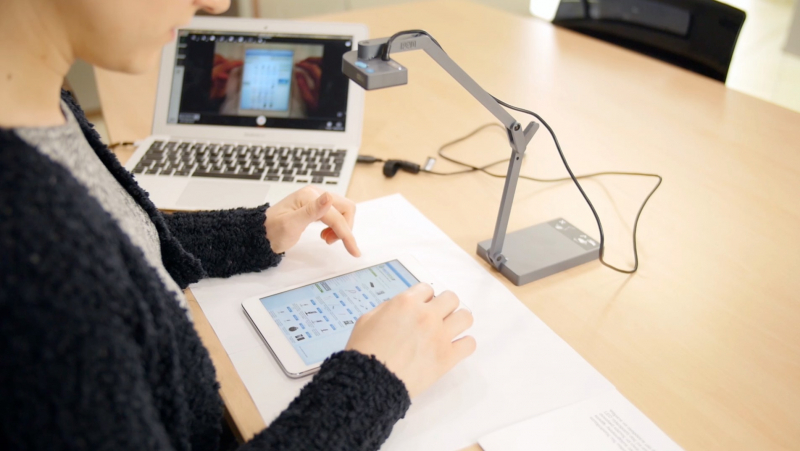 You will receive live feedback, you can comment and make sketches directly on the work and real-time video collaboration is now possible. Pricing starts at $9 billed monthly and you have included 5 design projects, 5 collaborators, 10 archived projects and 2 GB of space. Goodie has a great team of web developers that will create you a stunning website for prices that start at $999. Upload your design files or just a website idea. Allow a Goodie dev to help you, and work directly with him or her. Codester is a fast-growing marketplace for web professionals, loaded with tons of items. Website themes, PHP scripts, codes, gorgeous graphics and much more can be easily found on this website. Always check the Flash sale section where items with huge discounts are being sold. If you want to make an extra income, sell your products on Codester, they are not requesting exclusivity over your products. 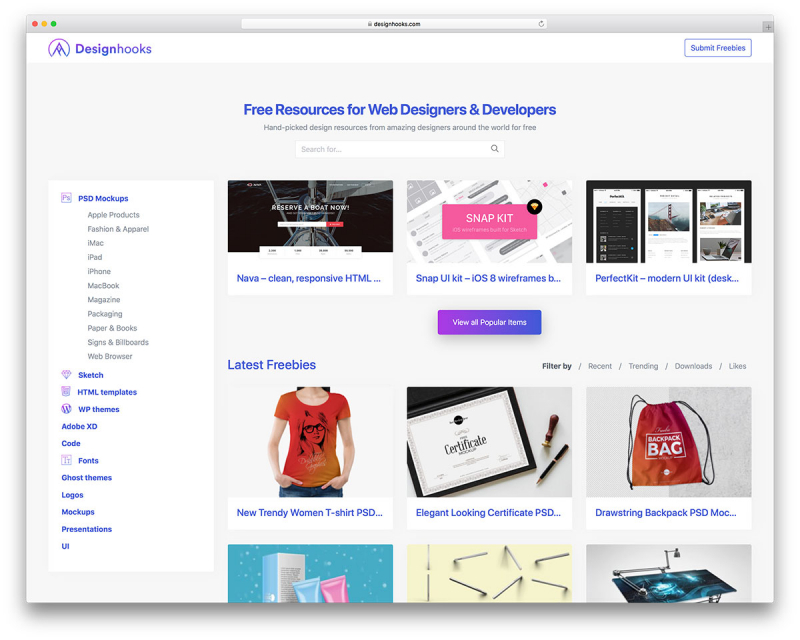 Designhooks is a powerful free resources website for web designers and developers. 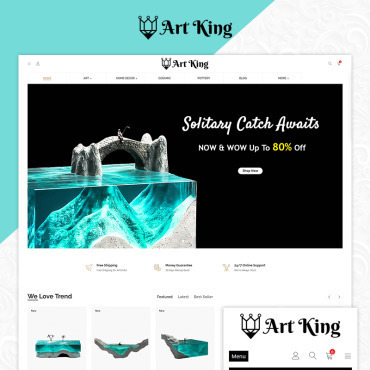 The quality of the products is over the standard and the website is very well structured making it very easy to find the items you are looking for. 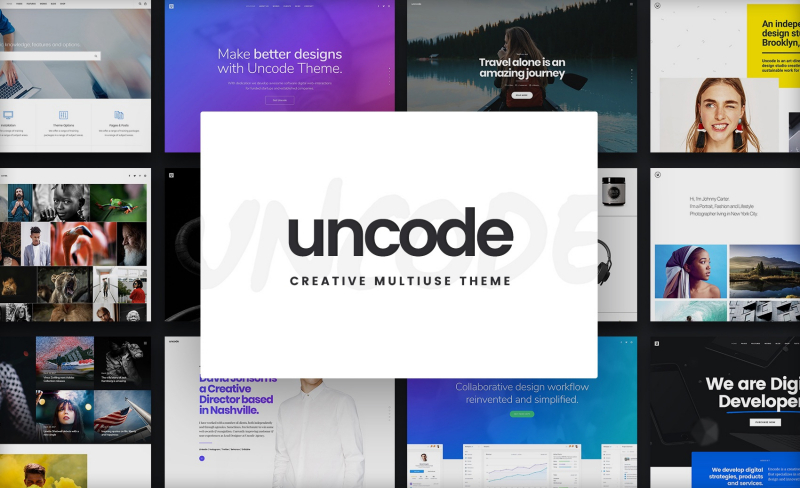 Uncode is probably the best and most complete WordPress theme on the market, being loaded with the powerful Visual Composer that can be used without writing a single line of code and tons of features and options. 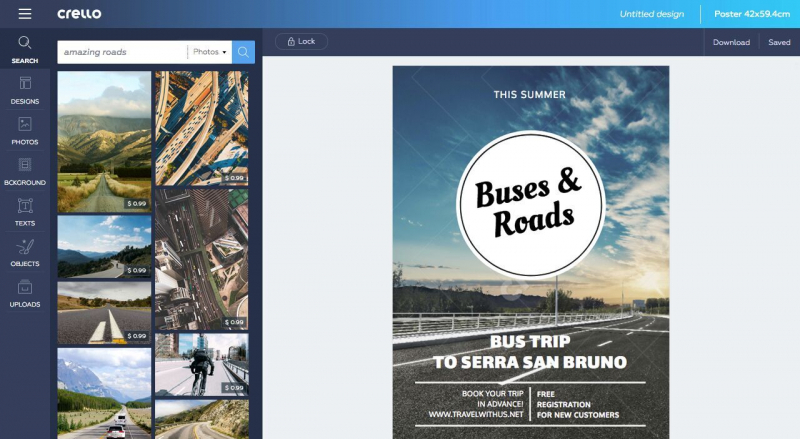 Using the powerful drag-and-drop builder, anybody can create with Pixpa a portfolio website with integrated e-commerce. 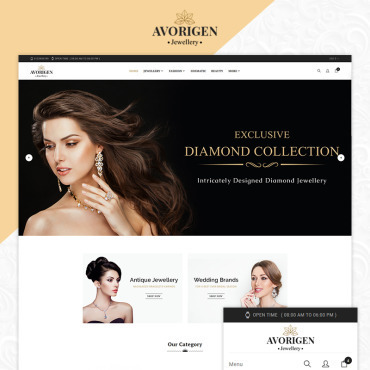 Showcase your work, sell your products and manage clients – do everything easily through a seamless, full-featured platform. Save money and time. Get results. 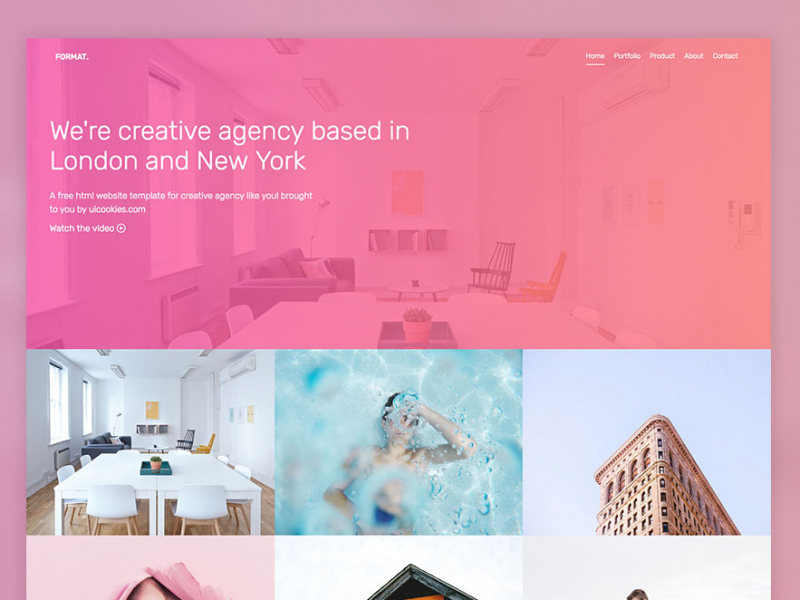 The format is a creative, clean and modern, free website template which is loaded with gorgeous graphics and is a perfect fit for your next portfolio project. 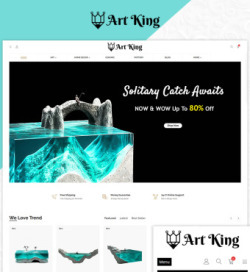 The theme is very fast and it features a pop-up video, smooth overlay for portfolio, and animation upon scrolling. Download it and built a stunning website with Format. Often, customers are not sending the content the day they promise and you have to remember and make follow-up after follow-up. Content Snare will help you with that. You set up the deadline, the template you want to use, the follow-up schedule and the software are doing the work for you. It’s super simple to use and effective. 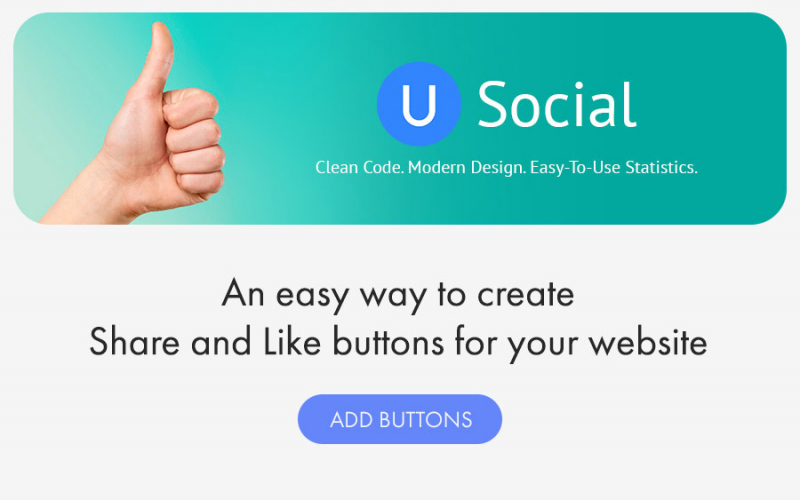 Social media buttons created with uSocial.pro will help you learn how often your visitors share your content in social networks and how many users actually see your social buttons. The buttons are mobile-friendly and adaptive: sending an interesting post to friends in Viber, WhatsApp, Telegram or through SMS has never been so fast and convenient. Looking to have a beautiful logo on the spot, without spending too much money? Instant Logo Design will do that for you in less than 1 minute. You simply enter your business name, you select one of the options provided by the web app and you put it on your website. It’s as simple as it sounds and the pricing starts at $29. Website owners use uCalc.pro to create online calculators for any kind of business: cafes, restaurants, car repair, construction & development, delivery service, etc. A calculator can be easily added to a website through the builder — no coding skills needed for that. The form will calculate the total, collect customers’ emails and phone numbers, send notifications and create invoices in Paypal. 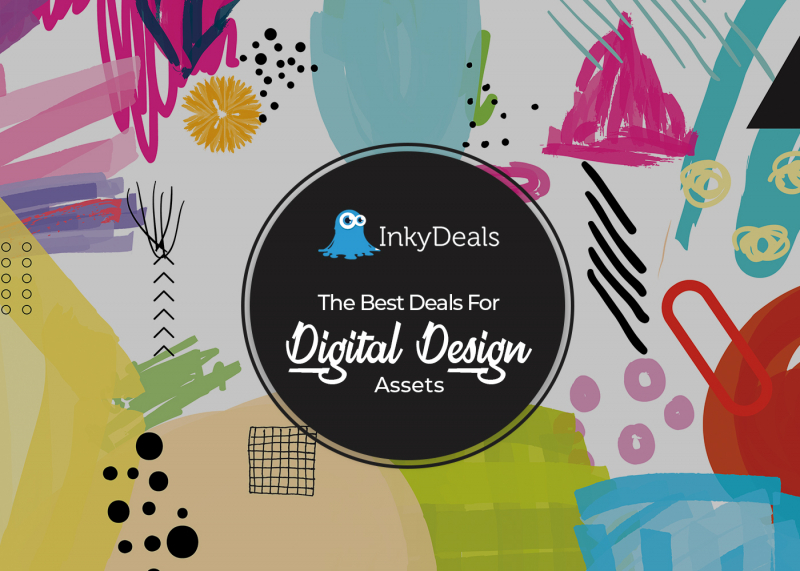 Inky Deals is probably the best and most complete web design deal website on the market, loaded with awesome great stuff at affordable prices for everybody. They are hard working to bring you exclusive and hugely discounted items, subscribe to their newsletter and get the best deals in your email account. Made by DepositPhotos, Crello is a powerful visual editor that will help you achieve a high quality without being a designer. Create stunning visuals by yourself with this budget-friendly web app. You will find around 60 million photos, 12,000 templates and 12,000 free pictures and vectors. Growing your subscribers, customers and long-time readers base are mandatory for every website. MailMunch will help you build forms that quickly convert without writing a single line of code or having a special knowledge. 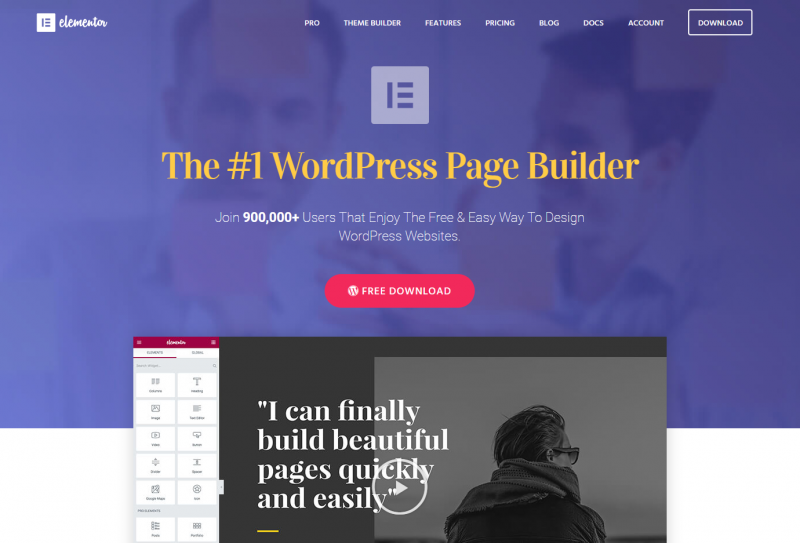 Elementor is considered the most powerful WordPress page builder on the market, is very fast and simple to use. 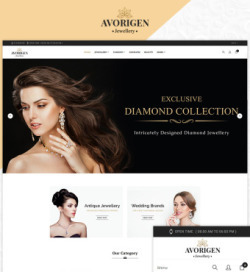 Stunning websites or pages can be quickly made and designs will remain, even if you are using it with your favorite theme or if you changing the template. 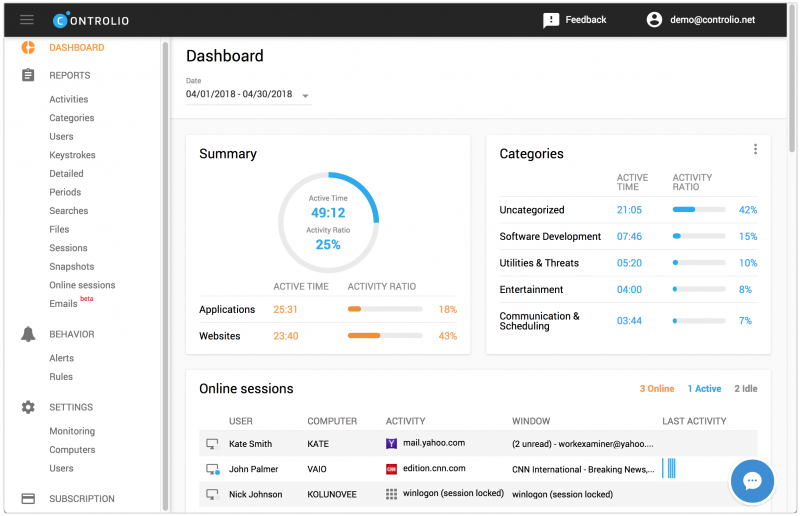 With Controlio you can easily monitor your employees PC activity. You can live to watch their desktop, continuous screen recording, key logging and much more. There are many ways you can use this software. Use it for employee monitoring, insider threats, and productivity optimization. 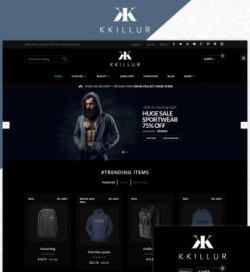 Investing a lot in a website is not enough if it is going down, especially in the middle of an expensive marketing campaign or when you are offering huge discounts for your products. Let UpTimeRobot verify your downtime at every 5 minute (for free) or every 1 minute (premium plan) and be notified in several ways so you can react. 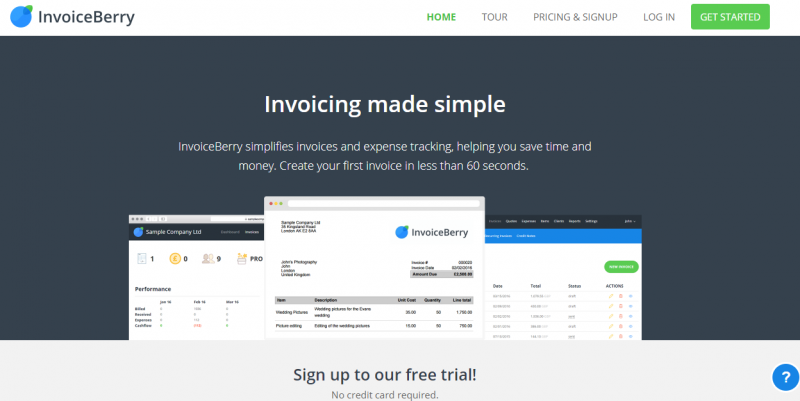 InvoiceBerry simplifies invoices and expense tracking, helping you save time and money. Creating, customizing and sending invoices take less than 60 seconds and the interface is brilliantly simple, yet very powerful. 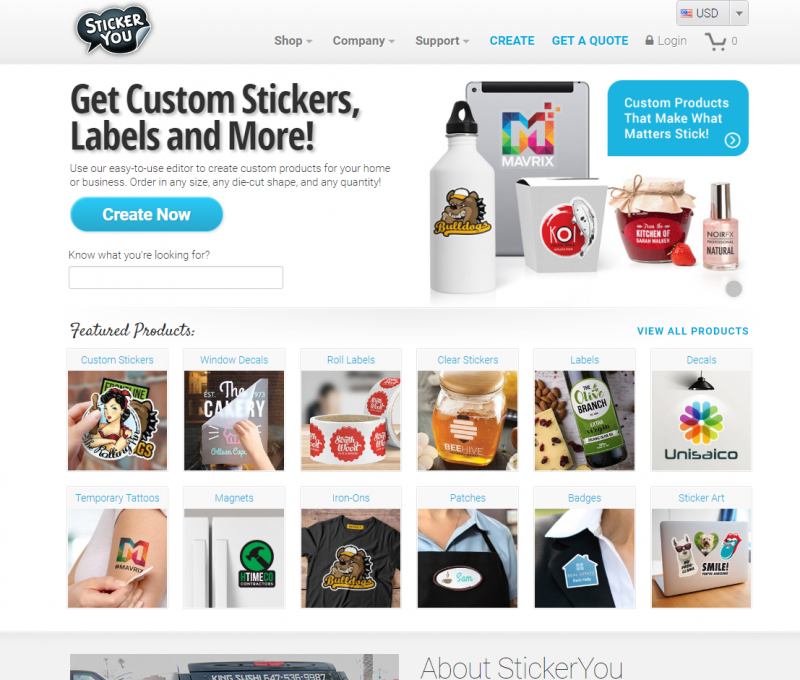 StickerYou allows you to create completely customizable stickers, labels, decals, and more. If you’re looking for the perfect way to brand yourself wherever you go, StickerYou’s custom stickers are perfect to use as laptop stickers. You can order any size, shape and order quantity. Make what matters stick! 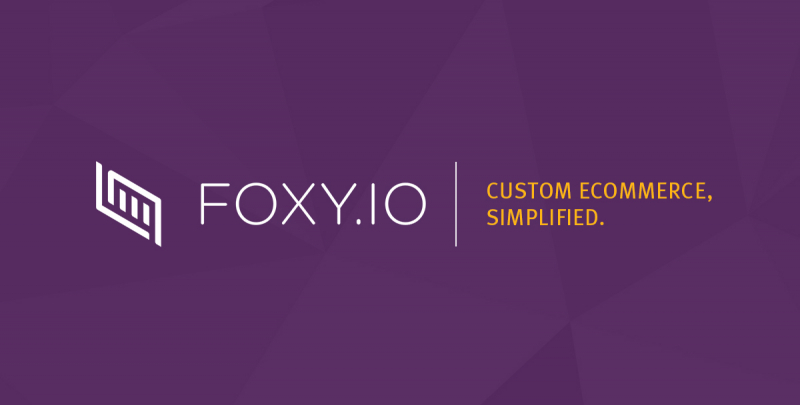 Foxy.io provides one of the fastest and safest hosted checkout pages. 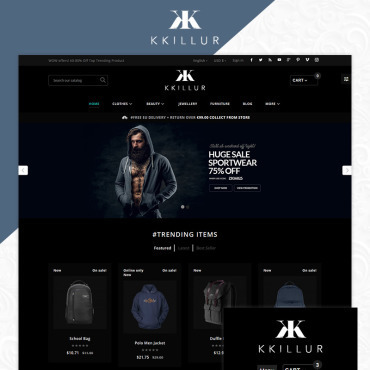 It allows you to add secure ecommerce to any website or platform. Foxy.io supports over 90 payment gateways and alternate payment methods (ex: Stripe, Braintree, Authorize.net, Amazon Pay, Bitcoin, Apple Pay). Check out their website to take advantage of their unlimited free trial. 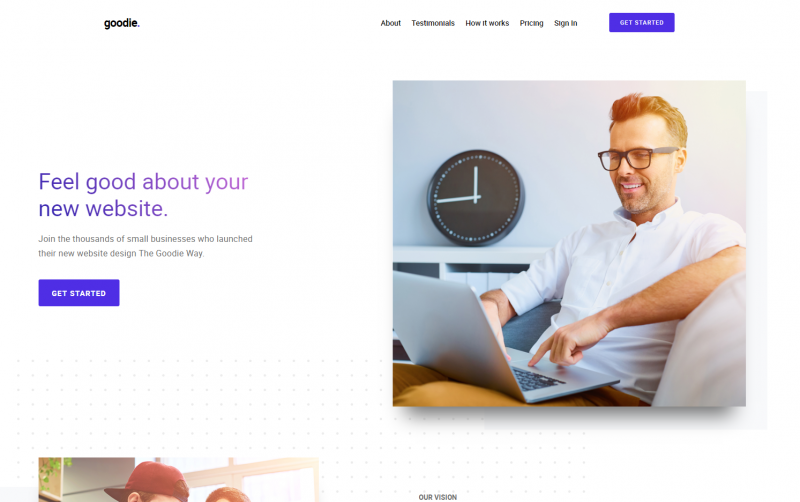 Pofo is a great multi-purpose WordPress and WooCommerce theme, which can be used to create a stunning portfolio, corporate, agency or creative websites. The graphics are gorgeous, it is loaded with awesome features and it is lightning fast. Check the demo to see how beautiful all the ready home pages and elements are, you will like a lot. 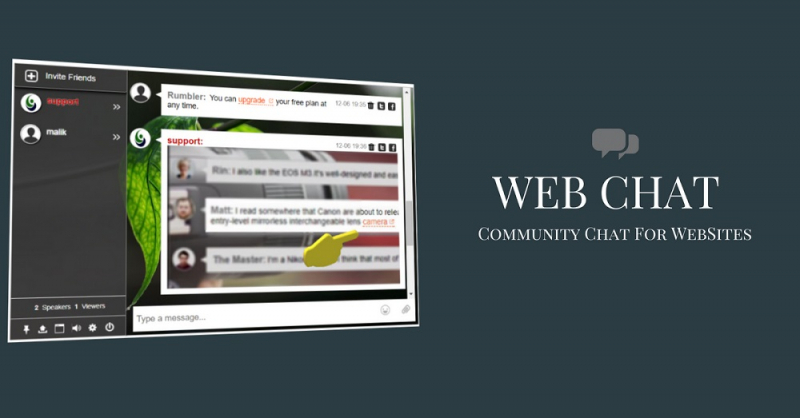 Having a web chat on your website is mandatory, even if so many websites are not using. This can be your advantage, let your customers have a direct and quick contact line with you. They will appreciate and you will see higher conversion rates. 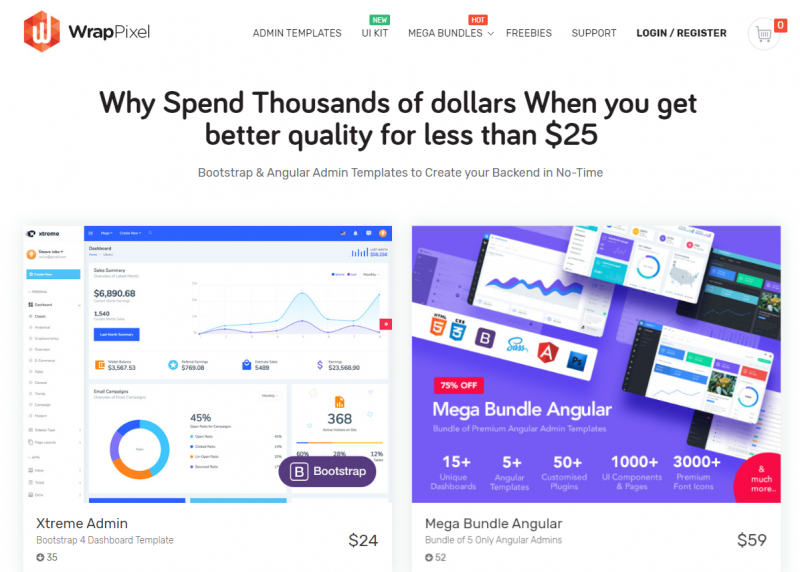 On WrapPixel you will find free & premium bootstrap and angular admin templates that have an over above medium quality. They are handpicking every item that you will find on the website. Fewer items with a higher quality is their strategy and it is working very well. The prices are extremely good, check their items portfolio.